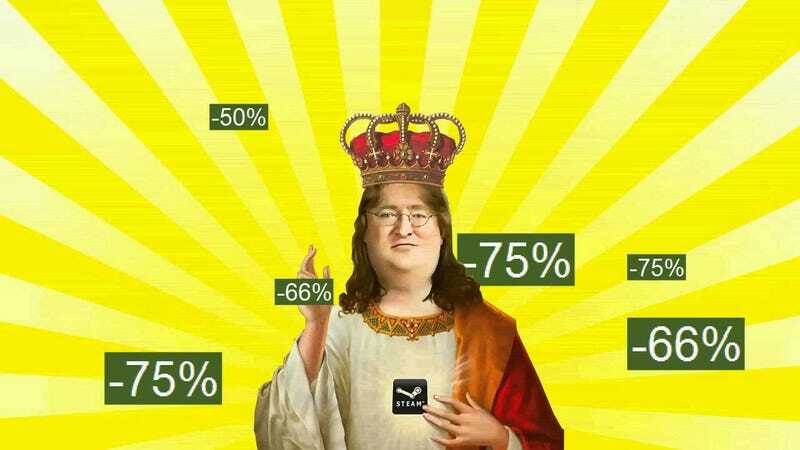 Since the dawn of recorded time, big seasonal Steam sales have included daily deals that make the whole process downright ritualistic. Wake up, check Steam sale deals, feel the life being drained from your wallet, etc. Soon, that will no longer be the case. It’s change that might make sales less “fun”—less akin to waking up on Christmas morning every day, only Santa is Gabe Newell and he takes your money—but it also sounds far more useful. No more waiting around in hopes of catching a game when it sheds the final vestiges of its price tag, no more feeling vaguely exploited by the zeitgeist-y “GOTTA GET IT NOW” nature of it all. And sure, traditionally a lot of games used to go back to their daily deal prices during sales’ waning hours, but that wasn’t particularly useful to non-eagle-eyed Steam users. I’m on board with this change. I think it’s better for Steam users overall. Plus, knowing Valve, big sales will probably still be accompanied by games or game-like structures that make them feel eventful. What do you think?